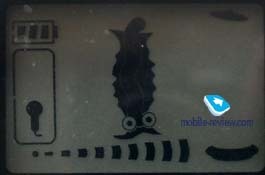 Mobile-review.com Portable emotions detector or how frequently lie associates? Portable emotions detector or how frequently lie associates? 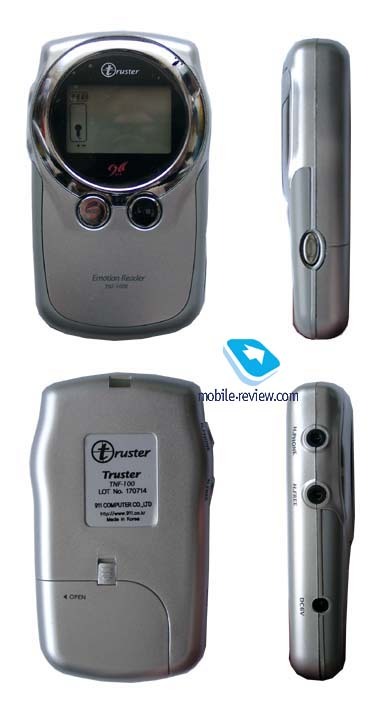 Not so long ago the device under sonorous name Truster has appeared in the market, according to the statement of its developers this is a portable detector of emotions, in the Russian variant a lie detector. For understanding of its work principles it is necessary to remember what is a lie detector and where they find application. From films and detective books we know how works classical lie detector, a probationer ask infinite questions which are possible to be answered only in one word. As a background for such tests serves the armchair entangled by wires, the every possible sensors placed on human body. Really, those detectors, which were applied in public services of specific orientation, fixed up to 50 parameters, starting with electroconductivity of skin and finishing with secretion of sweat, movements of pupils. Scientists have done their best and have tried to capture practically all possible reactions of the person. Questioning on such lie detector of the average statistical person will result that he cannot deceive at the answer to precisely put questions, he will tell marginally about his plans willy-nilly. Here the main thing are correctly set questions as the free statement of the probationer does not bring to unequivocal results, grows strongly the probability of error. Cost of such detectors in basic delivery starts with 60 thousand, but you cannot meet such offer in the popular goods catalogue. As customers act official worldwide institutions, exceptions are extremely rare. It is interesting, that some our citizens have faced with lie detectors, recently getting a job. I'll make a slip in speaking, that such systems are used contrary to the Russian legislation, workers in aspiration to keep their place or only to receive it, pass tests on such devices. Obvious, those in commercial organizations the simplified versions of lie detectors are installed, they are not able to take some parameters simultaneously, and accuracy of metering is also lower. As result the data received on them is rather conditional, checks on them, are more likely the psychological trick focused on processing of non-expert people's mind. Really, it is very easy for security service to hold in fear secretaries and cleaners, is guaranteed, that there will be no "casual" disappearances of things from wardrobe or dining room. On the other hand such questions were always in introduction of personnel officers, in well organized companies, such problems do not arise at all. Here is, that one of my comrades has told, yet the couple of years ago engaging in such systems on public service. For the clear reasons after dismissal, in his work-book has appeared completely not that record that could be. With a clear conscience he has gone to get a job, which has found through agency. The interview has passed successfully, already talking with the personnel officer, Andrew (we'll name our character exactly so, this is not real name) has found out, that the final decision on reception depends on results of the test on lie detector. Reluctantly, he has agreed to it, the employee of security service accompanied him in a separate room where the necessary surroundings has been created. Several sensors, computer in the corner and the paper which gave to sign before the test, that Andrew has no claims and expresses desire to voluntary check up his mental stability. According to lawyers, such papers have no real force, more likely they are an additional secure for the company. Session of questions and answers has passed quickly enough, for 20 minutes the operator has asked all necessary questions. Questions were interesting enough, some of them mentioned details of private life and were, to put it mildly, extremely intimate. Andrew, by his own admission has lied in the 50 percent of cases, but the system could not trace it. The main thing is to answer such questions the same way in the future. As it was found out later all personnel passes the detector one time in half-year. Our character has got job, during one and a half year he successfully bypassed the lie detector, yet has not changed the place of work. From his words follows, that any self-assured or well motivated person (protecting relatives for example) with small difficulty will bypass the system, in the noncommercial organizations there are simply no real lie detectors. Everything, that is bought for enough big money are handicraft or semi legal developments, which have extremely low efficiency. They calm consciousness of company owners, considering, that they are protected in such way. Actually cleverer chiefs of security services banal extort money from them for such devices and raise the importance in their eyes. But, even having spent not so many money, you can buy the portable emotions detector, it is correctly to name it all the same so. There are some models in the market, one of them is Truster of Korean production. Technologically is used the principal that without dependence from language (Russian, English or even Bantu) when the person deceives, there is «treacherous shiver» in voice. Really, during the statement the tonality, loudness, and also that profile of "truthful" answers is taken into account. Originally the device is calibrated, for this purpose you should switch on corresponding mode and ask about 5-6 questions, answers on which will be obviously truthful. For example, it is possible to find out the gender of the person, whether he works or no and only after that it is possible to start the first tests of detector. At the first stage it is better even to manage without questions, and ask the person to tell all same by his own words. 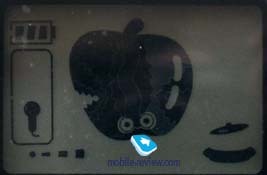 On the screen some parameters are displayed, one of them is the loudness of statements as a line , the scale of aggression does not demand further explanations, near there is a bubbling kettle icon, last parameter is actually an estimation of statements' truthfulness . If the image of apple is absolutely nibbled the person unscrupulously lies, if it is not bitten at all, to you speak the truth and only it. Real tests have shown that inexpensive microphone is used in Truster, it, unfortunately, reacts sensitively not only to voice of interlocutor, but also on environmental noise, it in times reduces probability of correct treatment. The same concerns to stage of calibration, whenever is possible Truster should be used in silent conditions, that sharply narrows its application area. But even in silent conditions the device is not always adequate, any words with a plenty of sibilant cause a bit as result. The attempt to measure loudness volume has shown, that exists really three values, conditionally they can be named as voice (usual speech), noise of road (in the street where there is a stream of cars), the airport (I think it is clear). As a whole this scale is useless, it does not represent interest with use of the built-in microphone. It is more interesting, that in the complete set there is a lace which can be connected through usual male connector to phone and on the other end a headset hangs up. Here the scale of loudness starts to work, as there are extraneous sounds, the cell phone filters them. But there is other problem, how to calibrate the device, it will naturally fail to make it, and a direct request will cause, at least, bewilderment of interlocutor. I leave for you the decision of this problem, to me has nothing turned out with this. The scale of aggression does not react to really aggressive statements, except for those that have sharp endings, i.e. if the speech is loud, phrases are chopped, and there will appear something on the scale without fail. Only one indicator showing truthfulness of statements changes constantly. If in there are sibilant in a word it for certain will display, that checked person lies. Is created the impression, that there are some templates in memory of the device with which it allocates from speech. In a such way operate mood indicators in electronic toys in, providing variety of responses, and here probably is the same principle in the basis. By analogy with described higher lie detectors becomes clearly, that Truster, to put it mildly, cannot give even a rough estimate of interlocutor's statements. But it is not necessary to approach strictly to this device, it appeared ideal entertainment in the company, a modern toy. I admit fairly, that during the evening we have asked great number of tricky, silly questions in the company, and that showed the device, frequently caused an unceasing roar. Why the manufacturer company does not sell this device as such toy is not clear, fast interrogation has shown that many people will play with pleasure once again in such answers-questions. I believe, it is really amusing, to ask obvious things, and in the upshot to receive not always predicted result. In such quality the device is simply fine. On the same principle of work some more devices are based, in particular, the translator of the dog bark, in the memory there is a number of templates in dependence from which their bark is treated differently. These are modern toys and it is necessary to concern to them as to toys. It is not necessary to worry, if someone will decide to check you up on a portable lie detector, its indications will be so chaotic, that you risk nothing. And if to admit in voice more sibilant sounds you can be quiet on all 100 percent. By the way, any click on the case of similar devices in most cases results to their temporary malfunction, you should have it in view. Let to stop on it our brief story about lie detectors and similar devices. Also remember, that the knowledge of work principles of such devices is the real force in your hands.